A 21-year-old Bellevue man pleaded not guilty Monday to felony charges of battering and trying to strangle his girlfriend. Andrew P. Ho was arraigned on the two charges in Blaine County 5th District Court. Judge Robert J. Elgee advised him that attempted strangulation is punishable by up to 15 years in prison. The charge of domestic battery resulting in traumatic injury is punishable by up to 10 years behind bars. A jury trial was set for June 14. Ho is currently free on $10,000 bond. He is represented by court-appointed public defender Douglas Werth. 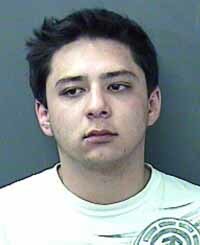 Ho was charged with the crimes for an alleged attack on his girlfriend on the morning of Oct. 3. Skip Liddle, a deputy with the Blaine County Sheriff's Office, wrote in a probable-cause affidavit that the alleged crimes occurred at the couple's apartment on north Main Street in Bellevue. Liddle stated that Ho attacked his girlfriend about 3 a.m. and after police had visited the apartment earlier that morning on a complaint of a domestic disturbance. The affidavit does not state a reason for the alleged attack, but Liddle wrote in the report that Ho held his girlfriend "down on the ground by her neck and constricting her airway to the point where [she] could no longer breathe." Liddle also alleged in the affidavit that Ho slammed the woman's head to the floor several times when she tried to sit up during the attack. Liddle wrote that the woman told him: "I thought I was going to die—I thought I was gone. I quit breathing for a second because he had me so tight on the ground."